Two days ago, MSNBC’s Rachel Maddow stoked anticipation for her nightly broadcast with the announcement that her staff had acquired and would be reporting on “Trump tax returns.” Maddow later revealed that her show actually had a Trump tax return—the president’s 2005 1040 form—and then spent 24 minutes teasing its contents before revealing that 2005-era Donald Trump was a guy who made a lot of money and used some fairly standard government loopholes to pay fewer taxes than he probably should. The melodramatic build-up to the reveal, though, earned Maddow and company some Twitter-based outrage, a long-form bit of mockery from Stephen Colbert—and her highest ratings ever. 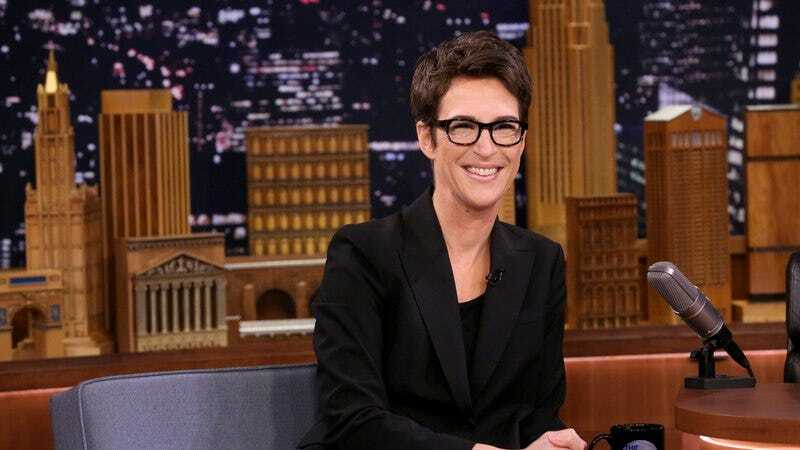 Maddow’s broadcast was reportedly the second-highest-rated program in MSNBC history.